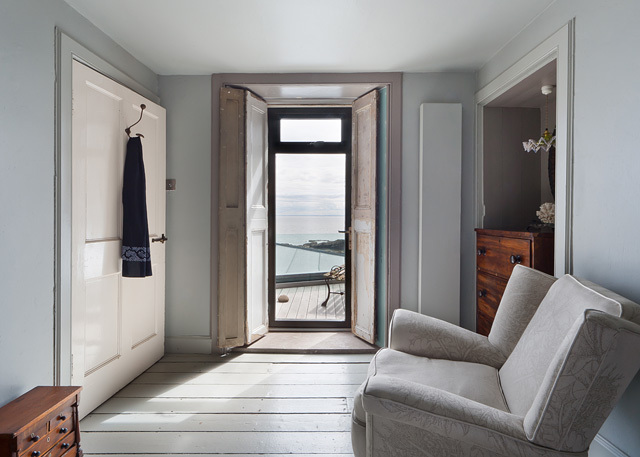 OCA were commissioned to design an extension to an early 19th Century fishing cottage over looking the sea between Anstruther and Cellardyke in Fife’s East Neuk. Dwellings in such settlements typically turned their back on the sea, andwere grouped closely together to shelter the narrow streets behind from the blustery gales. Our strategy involved the challenge of opening and of re-engaging living areas to face the sea, whilst retaining the other psaces to hunker down towards an open fire. A 19th century stair to the rear of the original house now forms the crux of the new plan, wrapped by a light filled glazed extension containing a new living room and kitchen. 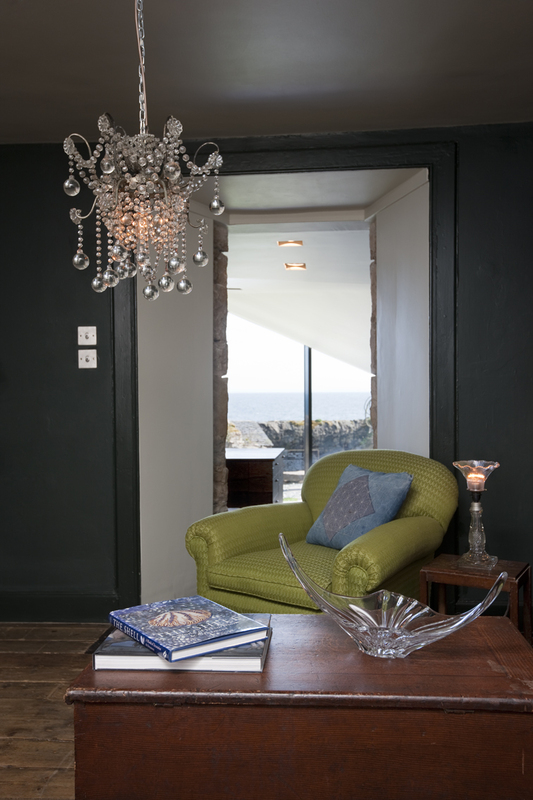 A contrast in light and scale is experienced when moving through the house, heightened by oblique views and glimpses of the sea. The folded roof form and irregular plan of the extension is reminiscent of the slightly irregular house as well as the much larger sclae of the skernie rock of the shoreline. An angled glass rooflight provides additional natural light into the existing plan and helps visually separate the new extension from the 19th Century house.